Woooo it was my birthday over the weekend! 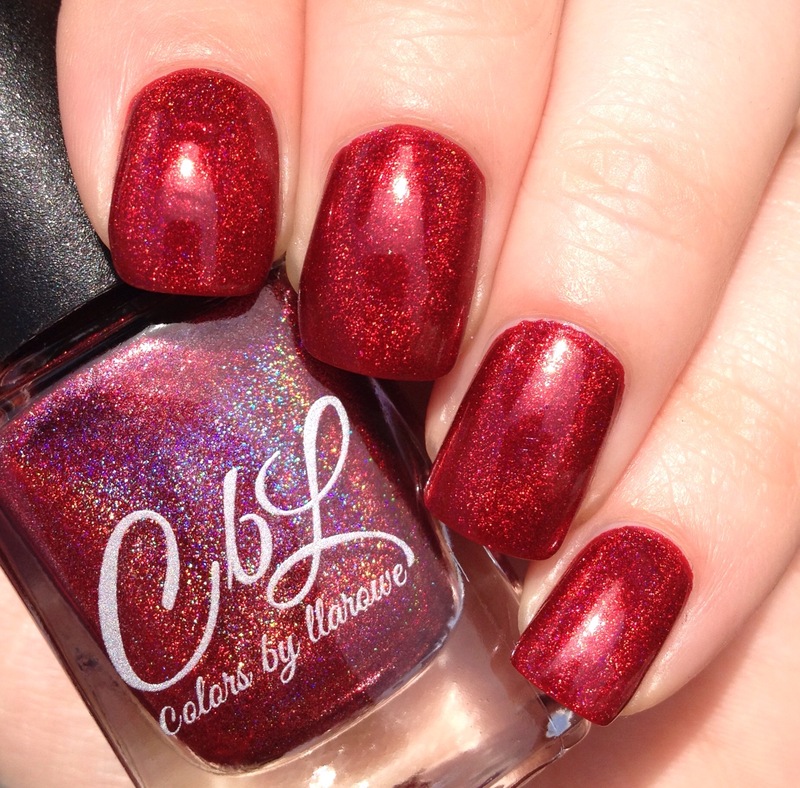 For my birthday nails I went with a brand new ruby red holo from Colors by Llarowe. 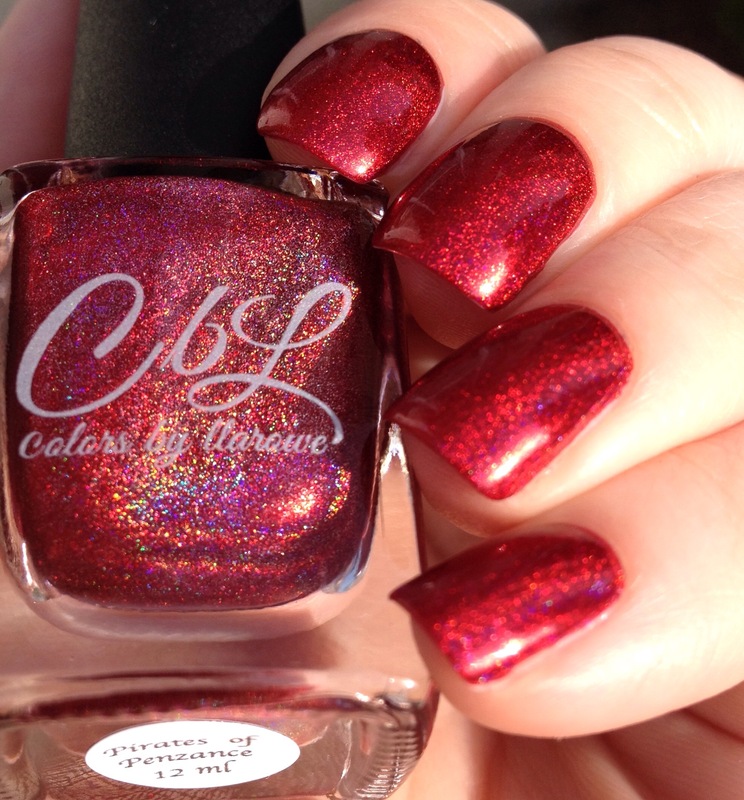 This is “Pirates of Penzance,” from the recent Pretty Woman-inspired collection. Based on the other swatches I had seen of this, I kind of didn’t expected it to look like this on me, but I still liked it! It mostly comes down to the fact that the holo in this flashes mostly red, so the effect is more metallic than rainbow. On the other hand, it does have a really lovely depth to it. This is two coats. I was really impressed with the opacity on this one. It wore really well and is super shiny without any top coat. I find that Llarowe polishes are fairly durable on me. One caveat: removal is…alarming. For some reason, the red pigment in this totally dissolves/gets absorbed into my remover. So the moment remover touched polish, red was everywhere. By the end, I definitely looked like I had committed bloody murder with my bare hands. The good news is that it did eventually all come off and did not stain. But for a moment there, things looked a little scary. You can find this polish on Llarowe’s website, along with the rest of the collection (which has another red holo you might like). Not really a red fan, but this is lovely! Happy belated birthday! Beautiful polish! Love a good red holo! Such a gorgeous red. I don’t think I have a red holo!! Such a beautiful red. I am always worried about CbL removal after a couple stainers got me last year; I understand your alarm. Happy birthday! This is a lovely red, and I had to laugh at your comment about the removal- at least I’m not the only one! LOL! It got a little murdery for a minute there. Thank goodness it all eventually came off. It looks gorgeous, shame about the removal process though! Happy belated birthday. Glad to hear it’s not a stainer! Hard to find a holo red like that that isn’t! Happy belated birthday! That red is gorgeous. I’m always weary of CbLs because of the staining. Gorgeous red, bummer about removal though. I had one OPI (I forget the name) but it used to leave red marks on paper even when it had been dry for several day. Polish can be strange. This polish is just stunning! I loved the whole collection, even if I was not a fan of the movie. I see this beauty everywhere and am a huge fan!! 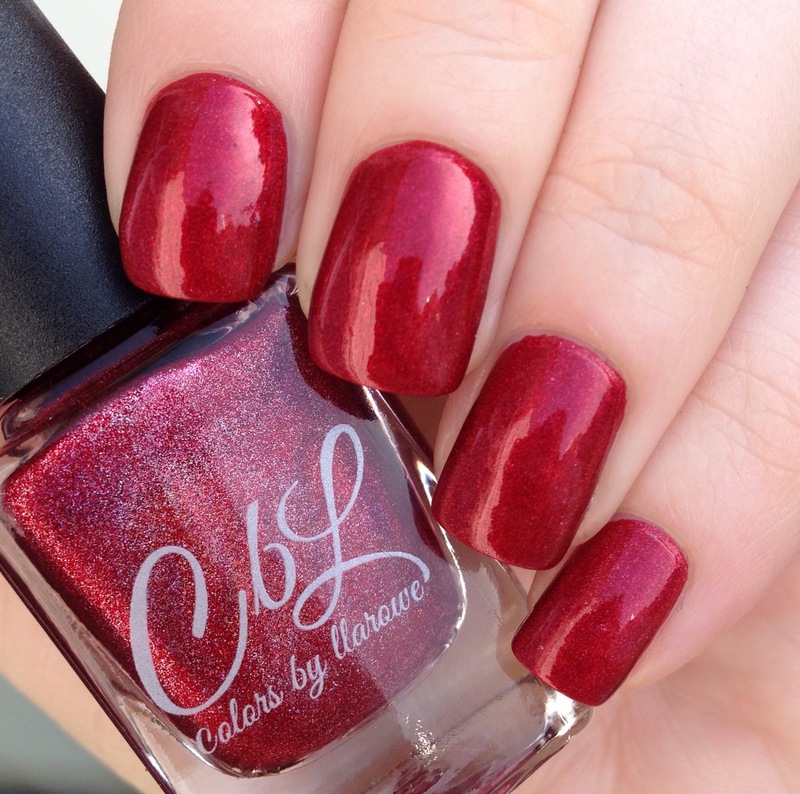 It’s such a stunning red holo! !